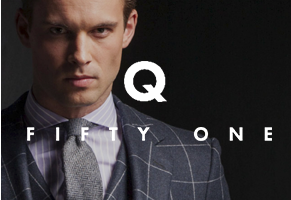 Dallas – Today, Q Fifty One, owner and operator of nationwide retail concepts Q Clothier and Rye 51, announced it has entered into an agreement to acquire Edition Collective, the company behind acclaimed e-commerce properties, Imprint (formerly Need) and Foremost, in a cash plus equity deal. Matt Alexander, founder and CEO of Edition Collective, will join Q Fifty One as President and CEO of a newly-created digital group, Q Fifty One Digital, tasked with developing a new strategy for Rye 51 and Q Clothier on mobile and web platforms. Imprint and Foremost will be dissolved as standalone brands, but their signature design sensibilities, editorial approach, and focus upon curation will persist. The company’s customers and assets, including Imprint’s exceptional iOS app, will also become a part of Q Fifty One Digital. Raja Ratan and his growing team will continue expanding Q Fifty One’s footprint across the U.S., whilst Matt Alexander and his team will look to expand the reach of Rye 51 and Q Clothier to customers around the world. Rye 51 is slated for a full overhaul to launch imminently under Matt’s guidance. A revamped version of Q Clothier will arrive in 2017. The terms of the acquisition were undisclosed by either party. Edition Collective’s portfolio was comprised of Imprint (formerly known as NEED), a curated retailer and lifestyle publication for the modern man, and Foremost, a small-batch, American-made clothing brand for men and women. Venista Ventures was part of a group of investors funding NEED together with Matt Alexander. Edition Collective was a company devoted to the creation of unique, sustainable, and disruptive concepts in e-commerce and media. It was founded by Matt Alexander and Venista Ventures among others.